The Uncharted movie has had a very confusing pre-production phase. The director has changed three times now. Most recently, Shawn Levy left the movie before it started filming. This is despite him saying that the movie was close to production. The newest director is Dan Trachtenberg (phew). You may know him from 1o Cloverfield lane, and this director might be staying. Why? Because Naughty Dog themselves have approved the new director of the Uncharted movie. Now this normally wouldn’t need to be news since the developers of a game would obviously be okay with any production related to it. However, Naughty Dog in the past has criticized the same movie. Once speaking against a former director of the movie in regards to being associated with it. 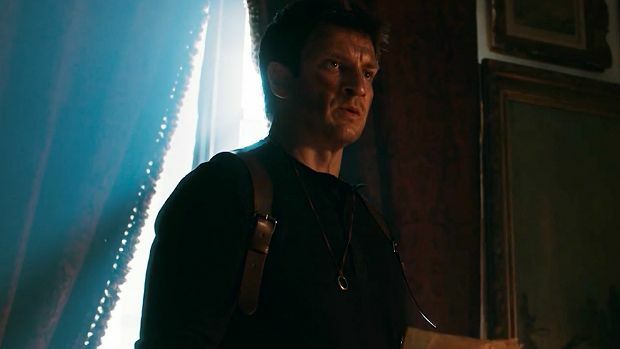 To add to this argument, Naughty Dog DID express support for the Uncharted fan film starring Nathan Fillion. An actor who fans of both the person and the Uncharted games agree is the best person to play the character. Should he be selected to play Drake in the upcoming movie. With the developers of the beloved video game franchise having given the green light, HOPEFULLY, the movie sticks with Trachtenberg. The film was originally supposed to release in 2016, pretty far from that date now. Since the directors have kept changing among other pre-production issues. The only confirmation and sense of security we have in the movie is the established role of young Nathan, which has gone to Tom Holland. The MCU’s Spider-Man. Holland is set for a busy schedule in the press tour of Avengers End Game that’ll release and take place this Summer. So the proper filming of the movie can’t really start until after that. The phenomenon of video games and movies transitioning or adapting into each other has been a long time practice by now. We’ve seen a Doom movie, a Mortal Kombat movie and soon we’ll be seeing a Sonic movie. Similarly, we’ve had too many movies adapted into games to even count. Some actually pretty good and definitely worth picking up. The practice hasn’t been too well received overall though. Often a time the two don’t translate well into each other. The Doom movie itself was a bit of a flop, as well as the sequels to the Mortal Kombat movie. Even the first one had so many flaws that people have overlooked in the past. The Uncharted movie hopes to break this course. They hopefully now have their final director. Which means it could be another couple of years until we see the movie finally come into being. Or take some form at all. Nathan Fillion for Drake’s role please!